Joseph Milo, conductor, composer and pianist, graduated from the Israeli Academy of Music (Rubin Academy in Tel Aviv), where he studied under the noted conductor Professor Michael Taube. In 1968, he moved to New York and continued studying with Eugene Ormandy, former conductor of the Philadelphia Symphony Orchestra, and William Smith (his associate). He later followed the teaching of Franco Ferrara in Rome and in Siena, Italy. Joseph Milo is also a graduate of McGill University, where he graduated with distinction in conducting under the tutelage of Alexander Brott. While in Israel in the 1960's, he conducted symphony, opera, operetta performances, as well as 20 choirs. During his stay in New York, he directed various orchestral ensembles, choirs, musical theatre, and taught in several music schools. Since his arrival in Montreal, he has directed the Montreal Junior Symphony Orchestra under the patronage of Sir Wilfrid Pelletier, the Hampstead Chamber Orchestra, as well as the choirs of the Shaar Hashomayim congregation, the Shaare Zedek Synagogue and the Kinor choir. He was the music director of the Saidye Bronfman Centre for the Arts (now the Segal Centre) for many years where he directed many independent theatrical productions. 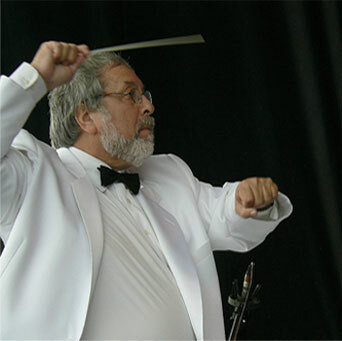 Recent projects include the founding of the Montreal Musicians of the World Symphony Orchestra.